We offer free shipping on all our orders. We ship orders within 24 hours. Orders placed on the weekend or a holiday are dispatched on the next working day. Just enter the coupon code at the time of check out and click on 'Apply' button. Do you charge in US dollars? Yes! All our product prices are in US dollars. Trust the fact that shopping with us is safe. We use Secure Socket Layer (SSL) technology that encrypts information exchange during all the transactions. We do not send customer’s credit card details through emails and do not share it with any third parties. How will you notify me about the orders? 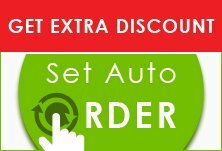 As soon as we receive your order, we will be sending you an email confirming receipt of your order as well as your order details. When your order is shipped, we will email you about the shipping as well. How can I return an order or exchange the products? Call us on our toll free number 1-888-860-3208 or drop us an email at support@bestvetcare.com within 5 days of receiving the order and we will take back unopened products without asking any questions. To exchange the products, calling us would be the best option, as our customer care executives will help you figure out the most suitable product for your pet. You will get full refund for the products returned. You will receive this by your mode of payment within 4-5 working days. Do you follow an automatic returns and refund process? We accept authorized returns only. So, please contact us before returning any product. We will be giving you RAN (Return Authorization Number) to submit while taking the refund. In addition, we will give you return address to send your products. We request you NOT to post back the products without contacting us. I face trouble accessing my shopping cart. Can you please help? Please check the Cookies setting of your computer. It might have expired which could be the reason you are not able to access your cart. So, as a first step check the Cookies setting. If that does not help, please call us toll free at 1-888-860-3208 (between Monday and Saturday, 9:00 AM to 6:00 PM CST) and place the order. Your site is declining my card. Can you resolve the problem? Some credit card companies require you to take prior approval before doing any international transactions. So, contact your credit card company and request them not to block your transactions with bestvetcare.com. Why do I need to pay ‘international fee’ while I make payment to you? As we are based outside the USA, some of the credit card companies charge an ‘international fee’ or ‘foreign transaction fee’ on products purchased from us. This is a rare occurrence however we do advise customers to check with their banks and use another credit card to avoid these charges. Sometimes images on website are different from product received, why? All images shown are for illustration purposes only. Actual product may vary due to product enhancement or supplier change. Sometimes, due to differences in monitors, colors of products may also appear different to those shown on the site. Also, some products may have an associated image only, which are for reference and illustration purpose only.